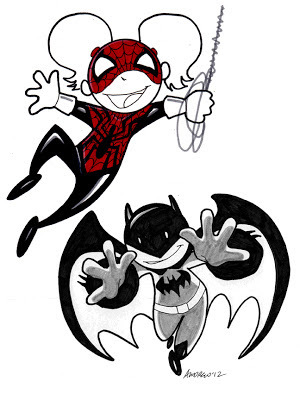 Sketch 002 of 100... Spider-Girl and Batman. This was another Christmas gift for a friend. He did a few sketches for me that I gave to my son for Christmas and I did these two sketches for his kids. His daughter likes Spider-Girl and his son likes Batman. They are both still very young so I did them in a "Tiny Titan" style that they would like. 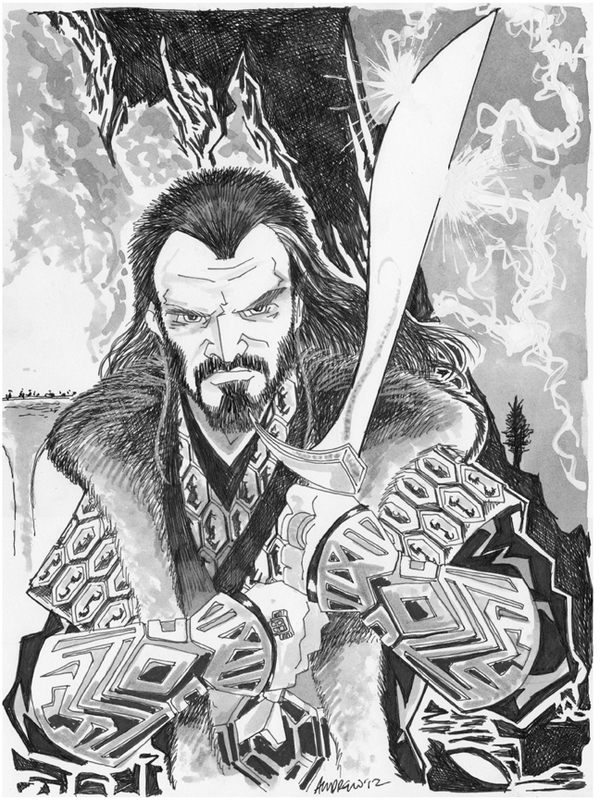 New Sketch 001 of 100... Thorin Oakenshield from the new Hobbit Movie. First, it was a Christmas gift for my sister who looooves this character. Second, it is for Illustious Bits Week 43 (which was a loooong time ago) for the Lord of the Rings week and third, its the first of my NEW 100 Sketches in 101 Days... just in time for the Comic Geek Speak Super Show 2013 in Reading, PA, April 6th and 7th.